(Guitar Educational). 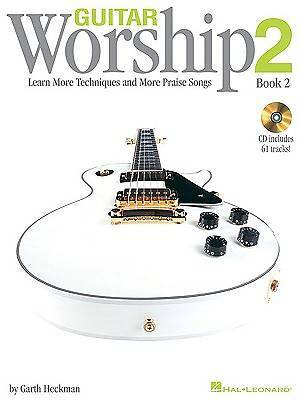 Book 2 of the Guitar Worship Method picks up where Book 1 left off, teaching you more important concepts to improve your guitar playing, and more great songs in praise of God. Demonstrated in the context of contemporary and classic worship songs, you'll learn movable power chords, barre chords, rhythm guitar techniques, arpeggios, scales, tips on leading worship, and lots more The companion CD features 61 tracks, including tuning notes and 12 songs.